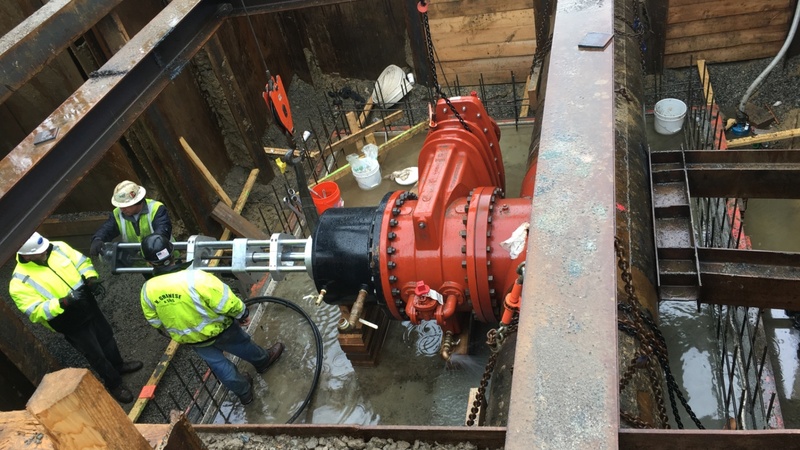 Throughout New England and in New York state, contractors & municipalities rely on South Shore Pipeline Services for water and sewer works projects. Our new division serving northern Virginia, DC, & Maryland is planned to open in 2018! South Shore Pipeline Services is a Women Business Enterprise (WBE) and Disadvantaged Business Enterprise (DBE) providing specialty water works and sewer works services. Our mission statement is simple: we strive to provide our customers with outstanding personalized service, expeditiously and with minimum downtime. Our business goal: as a leading pipeline service provider, we work hard to develop and keep long-term working relationships with contractors and municipalities. We've been successful in doing so based on our record of proven results. CLICK ON THE IMAGE ON THE LEFT TO VIEW A SHORT VIDEO. South Shore Pipeline Services began as a d/b/a in 1995 providing primarily engineering consulting services for large-diameter-pipeline turnkey construction projects. In 1996, we purchased our first hydraulic service truck, incorporated, and began providing specialty water works and sewer works services for state, municipal and industrial clients. Over the years, we continue to expand our fleet and inventory of equipment. We pride ourselves in being able to offer our clients the best solution for their needs in a cost effective, personalized and expeditious manner.